Plot: On the eve of her marriage, a French girl discovers that her husband to be is commonly known as "Bluebeard" because he has shed seven wives. This was originally a play that Ina Claire did on Broadway in 1921. Paramount bought the property for Swanson. The comedy was somewhat risque (for the time) and had suggestive dialog so, with the Hays office in full swing, the censors were watching and listening. The film was remade in 1938 by Ernst Lubitsch and starred Claudette Colbert. The latter version came off better because the dialog could be slyly tailored to get around the censors. 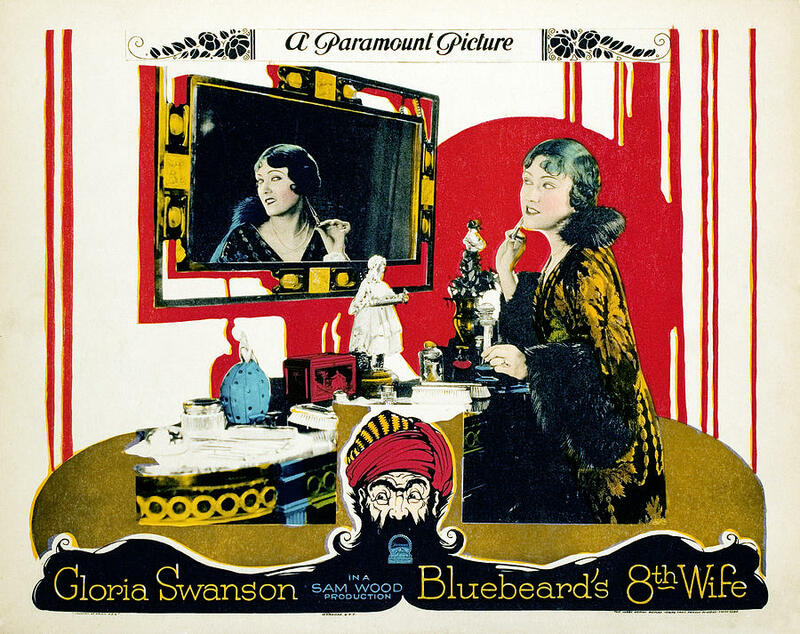 Still, Swanson's version did well and was liked by the critics and public. New York Times said: "an amusing picture, ably directed and beautifully staged. It gives Gloria Swanson plenty of opportunity to roll her long-lashed eyes and to wear expensive creations ... There is never a dull moment in the film, nor any time when one does not look forward to what is coming next."